Well, guess what?! It’s not always like this. Legalism will tell you that if you raised your child by their “way” and then they turn from it, “YOU” did something wrong. That’s not how God sees it at all. I am somewhat of an example of this. My mom took me to church as a child. I do not remember my dad going with us very much. We lived really close to this little Baptist church. There were awesome people there. Some of them are actually still there today. I never remember hearing that God loved me. I learned the song Jesus Loves Me, of course. But even that song just says “Because the Bible tells me so.” I guess that’s why we are to believe He loves us, just because the Bible says so? As a teenager, I left church and did not return for years. Feeling loved was a big thing for me. I looked to humans for it when I shouldn’t have. Of course, my story has a good ending. After all, I’m sitting her typing a blog post about God. So, I returned. But my leaving had NOTHING to do with my parents. I made the choice. My children are for the most part, all teenagers now. Two of them enjoy church and church activities. One doesn’t. I am trying to give him some room to grow. I am not forcing him to attend every time or every thing. I feel like, as his mom, he has to make his own decision. He is 14. He has attended church with me his entire life. So, I’m praying that foundation is there, and letting God have him. Raise your children the way you think is right. 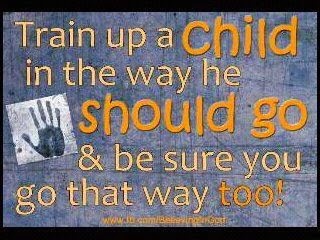 Then, know that they will make a choice and those choices result in you being a good parent. Set an example for them. Show them how you feel it’s best to live. Do not let “the church” or some legalistic rule making man tell you that you are bad parent because your teenager isn’t attending church, or your adult child isn’t attending church. Relationships with God are individual. He will talk to your child. He loves them more than you do! Don’t you think He wants a relationship with them? Of course! Praying for and being an example without being preachy, is a great way to handle them. My Granny, my mom’s mom, was big on giving us books for advice. She gave me the “Power of a Praying Parent” book, and it has great prayers in there. The author, Stormie Omartin, now has the “Power of Praying for your Adult children” too. Check them out if you need some direct prayers for your kids. And STOP WORRYING! God’s got this! ← What Do You Struggle With?